Movement Against Citizenship Amendment Bill (MACAB), a joint forum of opposition political parties of Tripura, to protest against the Citizenship (Amendment) Bill, 2016 claimed credit for not passing of the CAB in Parliament and viewed it as the victory of the people. The leaders claimed that the controversial legislation was not passed in the Parliament due to their agitation against it. 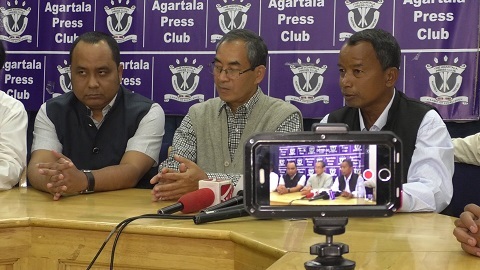 Congress and different tribal political parties like Indigenous Nationalist Party of Twipra (INPT), IPFT Tipraha, National Conference of Tripura (NCT) formed MACAB, which claimed to be a non-political joint forum to protest against the CAB. He added that on February 18 next, MACAB is going to organize a victory rally in capital Agartala. Tripura royal scion Pradyot Kishor Debbarman led the MACAB that organised a series of protests at Khumulwng in West Tripura, Khowai districts and Dhalai district’s Chawmanu. 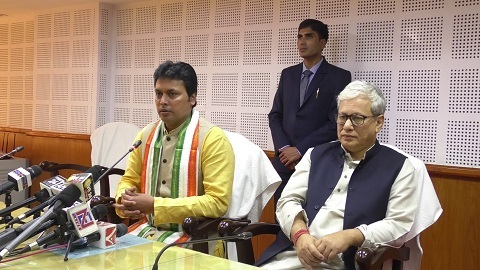 Earlier in the day, Tripura Chief Minister Biplab Kumar Deb during a press conference in the secretariat said that the Citizenship Bill was politicised by certain people who were spreading confusion and misleading others. Quoting Prime Minister Narendra Modi’s public address in Guwahati on February 10 last, Deb hinted that if the Centre even pass the CAB in both the Houses also its implementation in any state will depend on the wish of that state government.